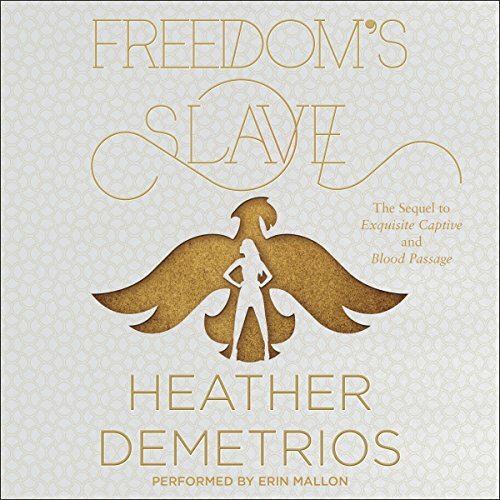 Freedom's Slave is the exhilarating end to Heather Demetrios' Dark Caravan Cycle - a modern jinni fantasy-adventure trilogy Publishers Weekly called "an intricate and smartly written story", perfect for fans of Laini Taylor's Daughter of Smoke & Bone series and Leigh Bardugo's Grisha Trilogy. Meanwhile, Raif's return to Arjinna as the commander of the revolution against Calar and her army isn't as smooth as he'd hoped. Though he has more soldiers than ever before, his love for Nalia is losing him the trust of his comrades, and the war. But little does the resistance know that insurrection is brewing among Calar's own ranks - and from the one person she trusts the most. Is Nalia and Raif's enduring love enough to transform and rescue their homeland? Will they be willing to save the realm, no matter the cost? I think this series is one of my new favorites of all time! Definitely worth a credit! The part where the main characters finally find out each other's true names actually brought me to tears it was so beautiful. Great job Miss Demetrios, and Erin Mallon really brought the story to life!